Shocked survivors of attacks say they had no conflicts with herdsmen. I was advised that if I must go, I should first stop in Gidan Waya to be sure it was safe to proceed to Godogodo. Regardless of the security status, however, I decided to make the trip to Godogodo. As my cab passed Gidan Waya on Oct. 15, I noticed that all vehicles coming from Godogodo had their headlights on, signifying danger ahead. When I arrived, Godogodo seemed to be nearly a ghost town, as most residents had been displaced in the September 24-26 attacks by Muslim Fulani herdsmen. Suddenly I heard footsteps running behind me and, turning around, I saw a girl running towards me. I stopped to inquire from her what was amiss. The girl said she had requested a motorbike driver to convey her to nearby Golkofa, but that en route they had heard gunshots. She had dropped from the bike and ran, and the driver also rushed to a bush path to escape. She made her way back into town as I went to a nearby Church of Christ in Nations (COCIN) building. The pastor’s house was nearby, but there was no one there or around the church premises. At a house near the St. Francis Catholic Church, I found people who could take me to a church leader in town to interview. When we arrived, we found he had locked himself and his family in their house in an effort to protect themselves. The pastor granted an interview and phoned other pastors outside town to ask them to come over to meet with me. On completing the interviews, I went about documenting the destruction in the town and left by 3 p.m., moving to Antang, Denji, and Dogon Fili villages, where similar attacks had occurred. After visiting a mass grave where some of the murdered victims were buried, I was still in Dogon Fili at about 5 p.m. when news reached me that Godogodo town was again under attack. That attack killed at least 40 people in the predominantly Christian area and, following the Sept. 24-26 attack that killed eight others, sources this week informed Morning Star News that another 13 were killed on Sept. 25-27 in Antang and Dogon Fili. The 13 victims were members of three churches: Seventh-day Adventist Church, Evangelical Church Winning All (ECWA) and St. John’s Anglican Church. Daniel Amos, 60, community leader of Dogon Fili village, told me that the attack on his village began at 2 a.m. on Sept. 25 and lasted three days. The village head said residents were shocked that they became a target as they had never had any conflict with the herdsmen. Yakubu Sabo, a 26-year-old a member of St. John’s Anglican Church in Dogon Fili, told Morning Star News that most the victims had bullets wounds. Sabo took me to a shallow grave where three members of one family were buried: Iliya Maiga, 70, his wife Alisabatu Iliya and their 50-year-old son, Istifanus Iliya. Markus Danladi Akwa, 55-year-old pastor in charge of Gidan Waya District for the Seventh-day Adventist Church, with jurisdiction over the Dogon Fili congregation, urged Christians who have suffered unspeakable loss at the hands of the herdsmen not to lose hope and to forgive those who persecute them. Audu Ibrahim Mai’angwa, 32-year-old associate pastor of the Seventh-day Adventist Church in Dogon Fili, told Morning Star News the herdsmen who attacked the village at 2 a.m. on Sept. 25 were well-armed. He identified the four killed as Williams Anche, 51; Enoch James, 23; Jonathan Akos, 49; and Gabriel Adamu, 30. 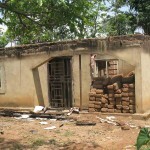 The Muslim Fulani herdsmen also burned seven houses of his church members, he said. His congregation, which had about 200 members, now has fewer than 20 as Christians have been displaced, he said. Mai’angwa said the herdsmen used guns, machetes and knives to carry out the attacks. “And apart from the burning of houses, crops on farms belonging to our church members were completely destroyed by the herdsmen,” he said. Also killed, he said, was Hasholy Tari, 35. 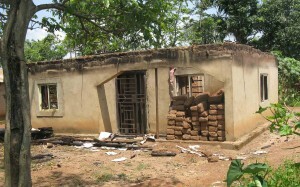 In nearby Antang/Denji village, two other Christians were killed. Danjuma Ladan, a 47-year-old resident of Denji, told me that herdsmen attacked at the same time they assaulted Dogon Fili. 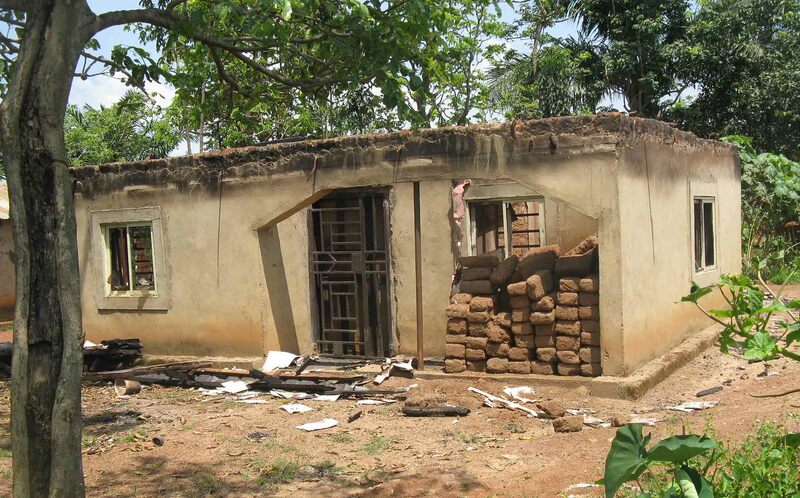 A member of the local ECWA congregation in Denji, Ladan said the attack by the herdsmen lasted three days, killing two Christians: Bayo Ambi, 30, and Indika Sarki, 15. Akwa of the Seventh-day Adventist Church lamented incessant attacks on Christian communities by Muslim Fulani herdsmen. He appealed to the Nigerian federal government to urgently take steps to put a halt to the unprovoked attacks.